Tired of listening to voicemails? Read them instead. Free trial month included, sign up in the app. Not looking for an iPhone app? Try Answer Cloud Voicemail to Email instead. Send an email to support@answer-cloud.com to enroll. Trial includes 120 minutes of voicemail calls for one month. Never call in to voicemail again. No need to listen to voicemail when a quick glance at the text is enough. 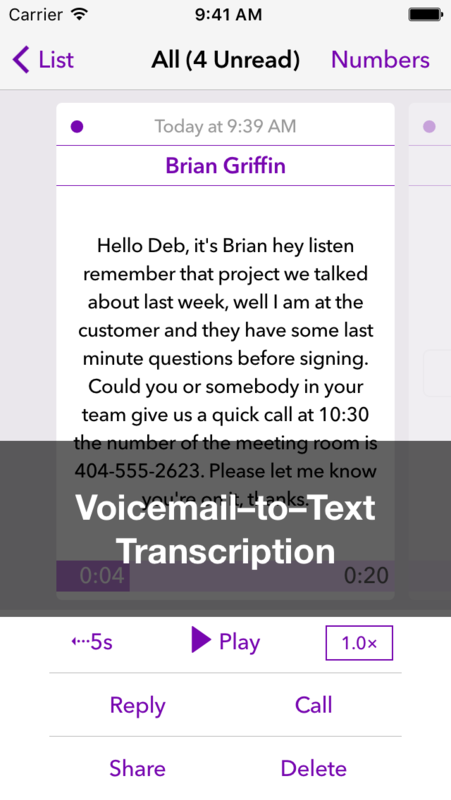 Answer Cloud includes the transcribed text with the voicemail. Automatically, at no extra cost. Respond with a call, a text, or an email. If the call was matched to a contact, use any of the contact's phone numbers or email addresses to respond. 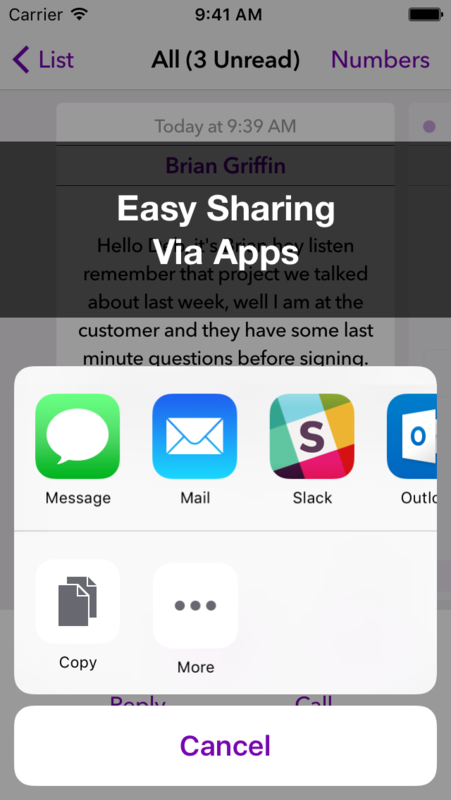 Share the details of a call or voicemail via email, text, or your favorite app. Depending on the app, include the transcribed text, call details, and recording. Get a notification on your phone, wherever you are, for any missed call or voicemail. Read the first part of the transcribed message to get the gist, then tap to read or play the message if needed. Put a name to a number. 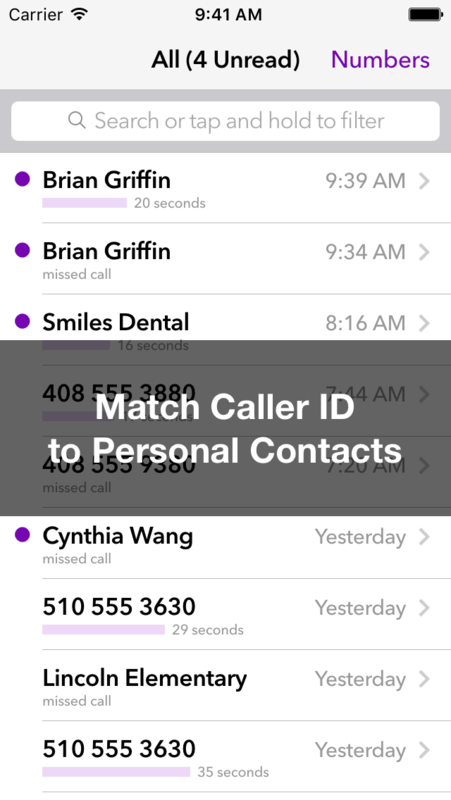 Upload your phone's Contacts so that Answer Cloud can automatically match incoming calls. The contact's details are also available when you respond. Have all your voicemail in one convenient place. Add any mobile, home, or work phone number that allows forwarding of calls. For each number you can record a separate greeting. Get the free Answer Cloud app in the App Store. Purchase a subscription in the app. First month free, cancel any time. Or try now for free, no credit card required. © 2015-2019 Rebel Labs LLC. All rights reserved.